Morton Reeves Estate Agents in Norwich City, doing something different! Morton Reeves are an independent Norfolk based Estate Agency. We pride ourselves on offering a top level service to our clients, plus we are doing something new. We offer honest advice decanted from excellent local knowledge and many years of experience in the Norfolk and North Suffolk property markets. But… we are using new techniques to sell homes to the buyers of today. We offer full video walk throughs, combined with superb photography and quality brochures to show property at its absolute best. This is why Morton Reeves stand out, we offer you the best of both worlds… We spend the time preparing homes for sale and presenting them to the public how they want to see them, enabling us to help you get the best price for your home. We offer the personal service you deserve… and we do it at an attractive price. 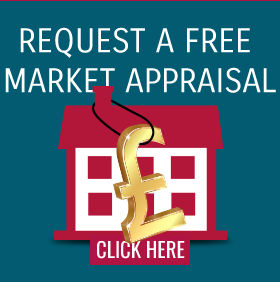 Why not call us NOW, to book your free market appraisal on 01603 432000. I had previously tried to sell my house 18 months ago and the experiences I'd had with High Street agents was not good - particularly William Brown who I found to be very aggressive with no results! I didn't know who to use until I was recommended to Morton Reeves. I have to say that they are very professional - I never had to 'chase' them for information or to take any action. They kept me well informed every step of the way and most importantly of all, from day 1 we had results with viewers and within the space of about 3 weeks we had a buyer. They show the property to its best advantage through photos and video and I can't recommend them highly enough.